Ian Baldwin's musical roots can be traced back to his childhood when he began to study music theory at the age of ten. His passion shifted towards electronic influenced music in 1997 when he attended his first underground event. It was at this event that he realized his ambitions of becoming involved with the underground scene. By the winter of 1998 he was introduced to the art of mixing, citing DJ's PMC and Space One as his influences. His original focus as a DJ was on House and Techno, but that rapidly changed. 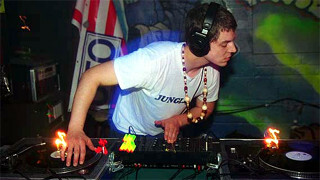 By 1999 Plume began to receive recognition as one of Upstate New York's premier Drum and Bass talents. Currently Plume is in the studio producing original material with his partner Nathan Cipher. 2001 saw the birth their Label / Production Team called Dream Research. Dream Research is presently organizing upcoming events in Central NY.